This project was supported by the Heritage Lottery Fund (HLF) and Calstock Parish Council. The project was completed at the end of 2012. 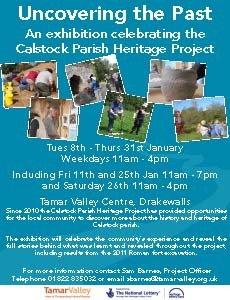 An exhibition ‘Uncovering the Past’ was held at the Tamar Valley Centre throughout January 2013. Over 300 people visited, so thank you to all who came and got involved! A major archaeological excavation of the Roman Fort at Church Hill, Calstock in October 2011 provided a group of volunteers with hands-on experience whilst learning about the historic development of the area. The Assessment Report has now been completed and it can be read or downloaded here. 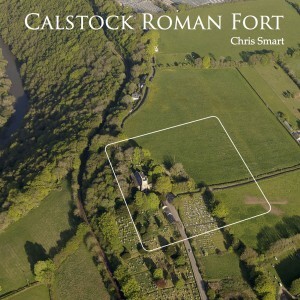 Chris Smart has written an information booklet about the discovery of the fort. Unfortunately we have completely run out of free copies of the booklet, but it is available to download by clicking here. An interpretation board has been installed near St Andrew’s church. A group of local people attended the unveiling on the 26 January 2013, including Hilary Bracegirdle (HLF Committee Member), Dorothy Kirk (Calstock Parish Councillor) and Sam Barnes (TVAONB Project Officer. The Calstock interactive heritage map provides information on where archaeology is located and provides the opportunity for people to add their own special places and local knowledge. You can visit the map by clicking here. Instructions on how to use the map are now available as a downloadable document which you can save to your computer or print out here. We have also put together some information about what the different parts of the map mean; view it here. In March 2011 Eloise Kane and Penny Cunningham ran a field walking training event near Metherell. Find out more by clicking here; and you can read or download the report here. In July 2011 Tamarside Archaeological Survey directed two sessions of geophysical investigation within the historic deer park on the Cotehele estate. The report is now available to read or download here. 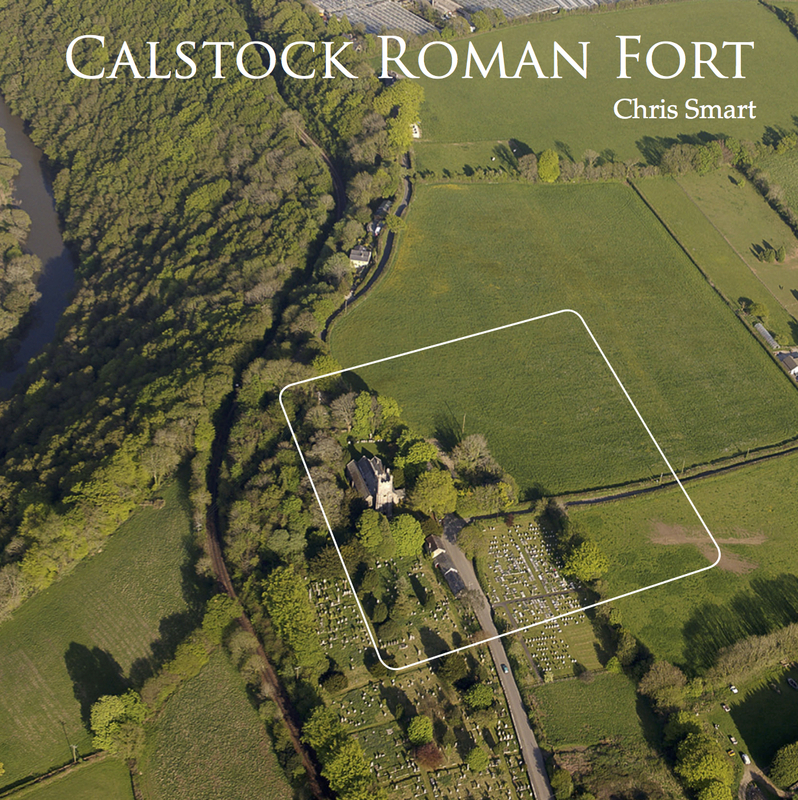 This refined analysis of the landscape of Calstock Parish, drawing together previous research and reports and looking at the landscape with fresh eyes was completed. We will use this work to inform our AONB management plan and also as a basis for new historic research projects in Calstock Parish and the wider valley area. Read the report here. The maps will also be added to our Interactive Heritage map. Although the project has now finished, its legacy will continue through this website. Copies of all the project reports and other products are also held at the Tamar Valley AONB offices and Calstock Parish Archive. Some of the projects continued into 2013, through the enthusiasm of our volunteers. The research into the historic routeways was completed along with analysis of the historic data and walking the footpaths to think about their management and condition. (this project is running in conjunction with Calstock Footpaths Society, Calstock Local History Society and Calstock Parish Archive). Keep checking back here and don’t forget to follow us on Twitter @TVAONB and like us on Facebook to get the latest news and information on opportunities. We are also running historic environment projects through Cordiale – why not take a look at our dedicated project pages? To know more or find out about any of the above projects, please contact the Tamar Valley AONB office on 01822 835030.